The wedding industry is known as a recession-proof industry and it comes with a lot of new opportunities for budding entrepreneurs. This article aims to elaborate some of the business opportunities that you could explore in the culturally-rich country Nepal. Read on to know more! Irrespective of the state of economy, the wedding industry is one of thosefewindustries that are never going to face recession. As long as people fall in love or get themselves arranged together for life by their relatives, weddings are not going to end! The global wedding industry is approximately $300 billion worth and is constantly witnessing an upward growth, which has given a boost to various business opportunities across the world. 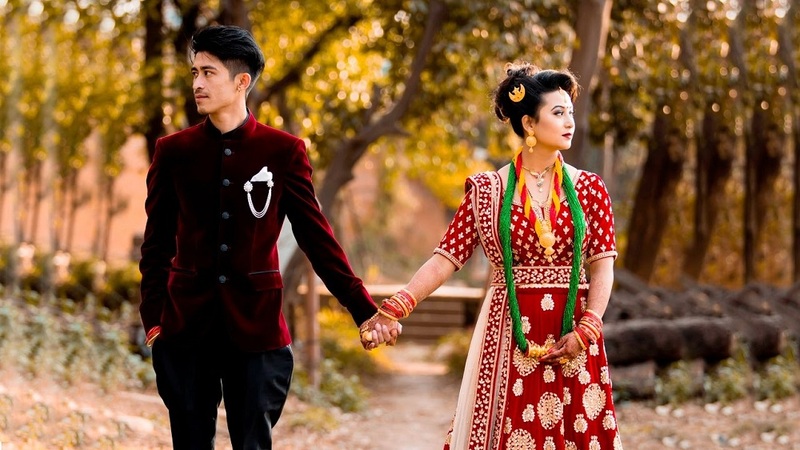 Nepal, being a culturally-rich nation, is among some of the most viable countries to invest in on the wedding industry as it brings about a lot of new opportunities for businesspeople. Here are some of the factors that reveal how wedding industry is providing business opportunities in Nepal. In a wedding, a bride remains the centre of attraction for all the guests and relatives. Therefore, makeup becomes quite an indispensible part of a Nepali wedding. A Nepali bride is decked up with all the essentials ranging from bronze bridal eye makeup to dark-red lipstick and beyond. Makeup-artistry that is especially designated for bridal makeup is a lucrative business idea in Nepal. If you are someone who has the guide to a perfectly winged liner, a sharp contouring and have a mastery over the difficult game of blending makeup, you would stand a chance at this lucrative business opportunity in Nepal. In order to radiate the bridal glow at the time of marriage, soon-to-be-brides often go to spas to pamper themselves. Therefore, wedding seasons come with a lot of engagement in spas that offer pre-bridal treatments for brides-to-be. As purchasing power has risen in Nepal, brides prefer to get themselves pampered in spas before wedding shenanigans and to keep their skin and hair ready for the bigday. Starting a spa business in Nepal is highly profitable and you could invest in it without a second thought. A perfect hairstyle with a perfect bridal look adds up to the beauty of every Nepali bride. Hairstyling is one of the essentials of the bride’s look. Therefore, where there is a wedding, hairstylists are always required. If you are skilled at bridal hairstyling, then starting a hairstyling business in Nepal could be a lucrative business option. There are a lot of accessories that a traditional Nepali bride wears. For example, a ‘Mangal-sutra’-like necklace called ‘tilhari’ (generally made up of small green beads and large gold pendant), maang-tika, a red ‘dori’ in the top bun on the head, etc. are some of the accessories that are of great importance in a Nepali wedding. If you are skilled in the art of jewelry-making and are keen to experiment on accessories, then Nepal is the viable location for you to start your accessory business. The traditional body-art, Mehndi (Henna) is taking the culture of Nepal by storm, thanks to the major influence of Bollywood among the millennial. The craze for Mehndi has recently caught fire in the traditional Nepali wedding too, and people are spending big bucks on this art form. Therefore, business in this artwork becomes quite rewarding in Nepal. If you are as creative in the field as it requires, then definitely go for this business in Nepal. If you want to showcase your brands to business seekers, click here https://www.franchisenepal.com/ to get registered and connected with the largest ever franchise investment expo & conclave in Nepal.